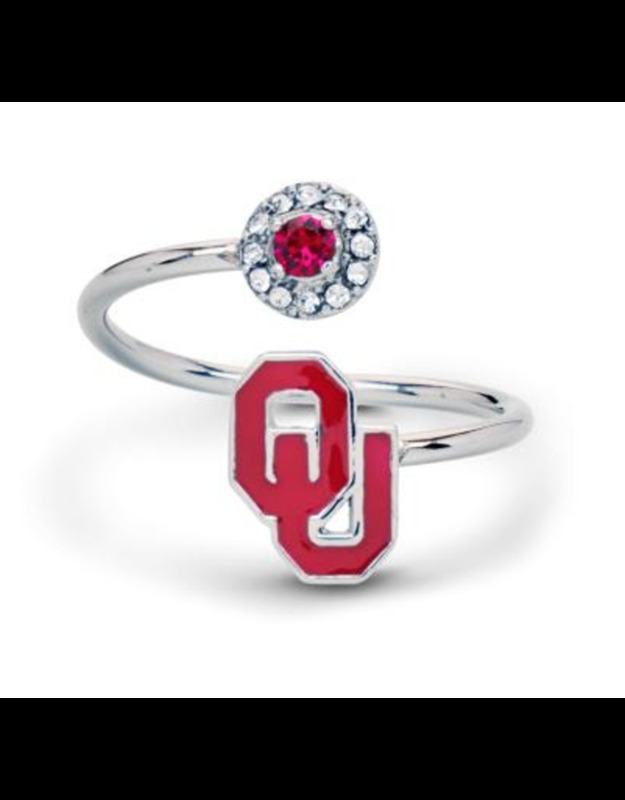 Gear up for the game with this beautifully crafted stainless steel Oklahoma Ring! A crimson OU is accented by Swarovski & Czech crystals on an adjustable stainless steel band. 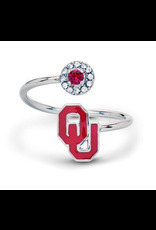 Any University of Oklahoma grad, student, fan or alumni would look absolutely stunning with this OU Ring! Adjustable to fit most ring sizes.